Another man lies in the Table Rock Cemetery who also was at Shiloh, Private John Shaw Company E, 15th Illinois Infantry. At Shiloh, Shaw's unit was in the fierce fighting in an impenetrable oak thicket survivors called the Hornet's Nest. Shaw served from May 24, 1861 to August 23, 1862, at which time he was discharged due to a gunshot wound. 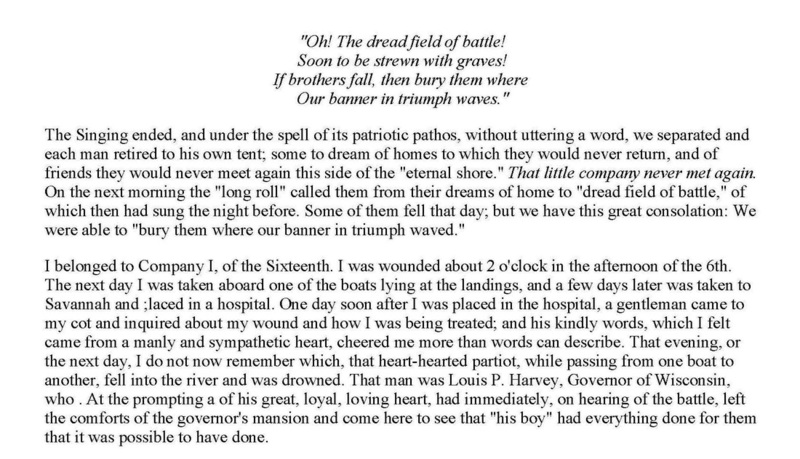 All six men of the Color Guard were killed, their bodies buried at the Landing. what did the old soldiers of the grand army of the republic talk about after their meetings at the bonfires around their encampments? things they had in common. 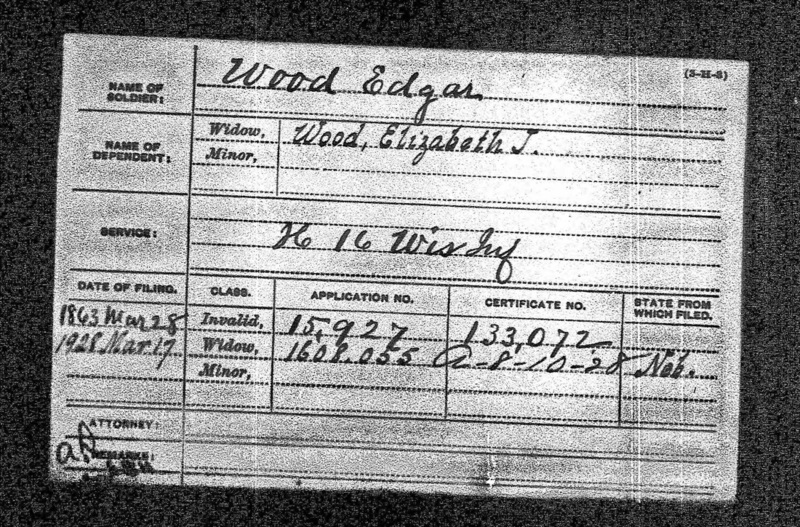 ﻿Edgar Woods was put out of action at shiloh after 9 months of service. others who would eventually end up in table rock, nebraska, remained in play. THERE IS ONE CAMPAIGN THAT MORE TABLE ROCK MEN HAD IN COMMON THAN ANY OTHER: VICKSBURG. 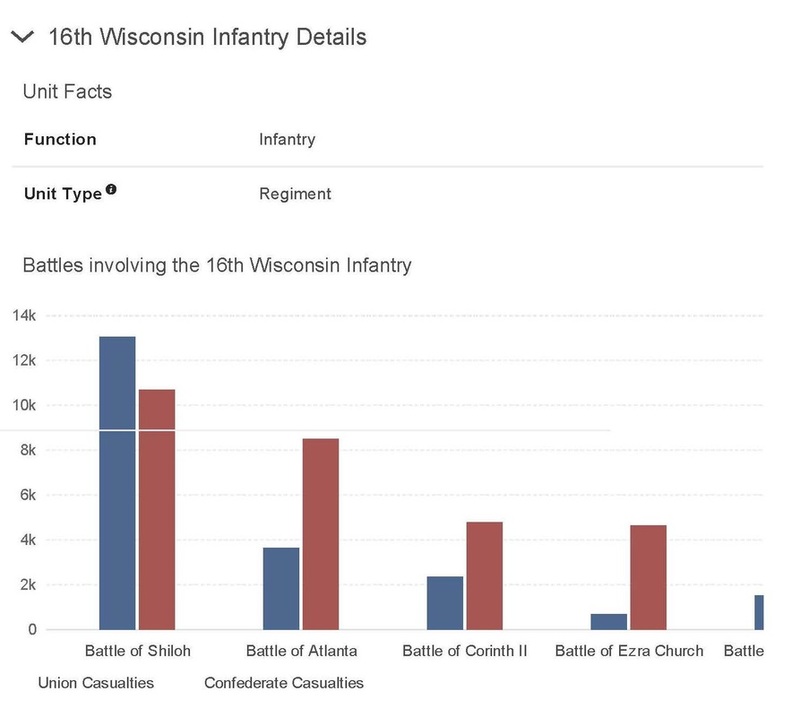 shiloh was the key that opened the door to vicksburg. 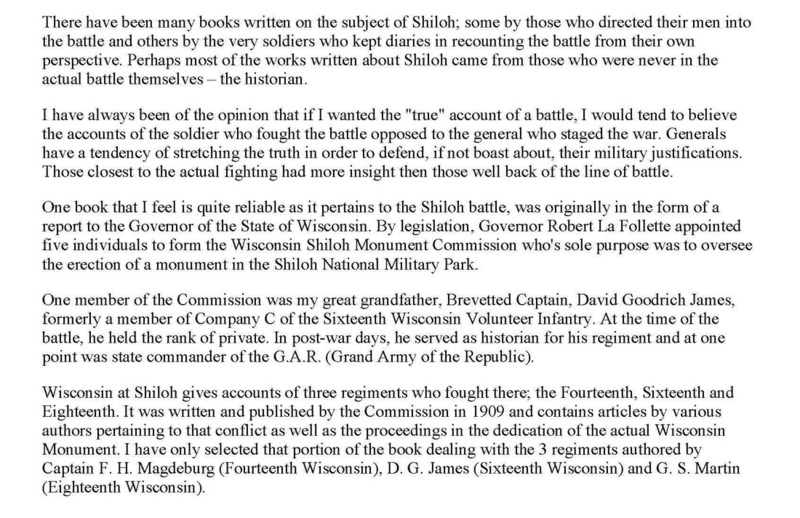 shiloh made possible a victory at the critical rail junction of corinth. Corinth made possible a "relentless nine-month CAMPAIGN TO CAPTURE "THE FORTRESS CITY" OF VICKSBURG AND RECOVER THE MISSISSIPPI RIVER." 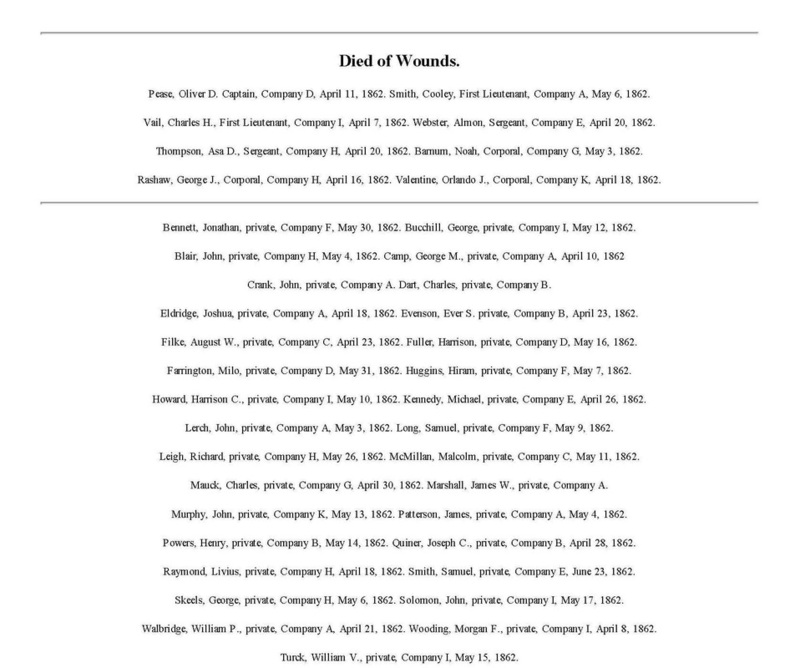 The 1883 list of Civil War pensioners in Pawnee County. Edgar Wood is on the 10th line.